As production continues on Godzilla vs Kong, the first photos from the film’s set in Hawaii have been debuted online from Just Jared, giving us our first look at Alexander Skarsgård and Eiza Gonzalez’s characters@ Check out the photos below! Godzilla Vs. Kong stars Alexander Skarsgård (Big Little Lies), Millie Bobby Brown (Stranger Things and the upcoming Godzilla: King of the Monsters), Rebecca Hall (Christine), Brian Tyree Henry (Widows), Shun Oguri (Gintama), Eiza González (Baby Driver), Jessica Henwick (Iron Fist), Julian Dennison (Deadpool 2), Kyle Chandler (Manchester by the Sea), Demián Bichir (The Nun) and Lance Reddick (John Wick 3: Parabellum). The 2020 film serves as both a sequel to last year’s Kong: Skull Island as well as the 2014 Godzilla and the forthcoming Godzilla: King of the Monsters. Adam Wingard, the filmmaker behind You’re Next, The Guest, and Blair Witch, will direct the film, marking just the second time that the two legendary movie monsters have appeared together in a film. 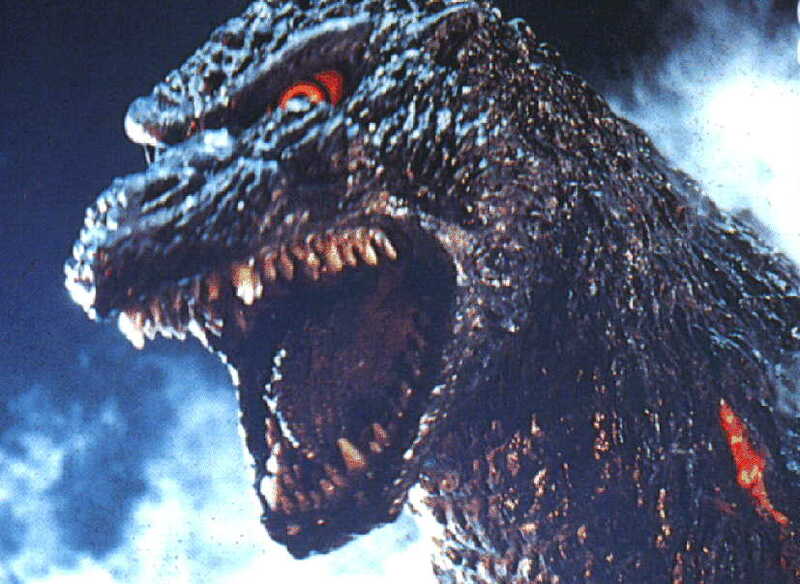 The script for Godzilla vs. Kong comes to us from a writer’s room run by Terry Rossio, who co-wrote the Pirates of the Caribbean films and also holds a story credit on 1998’s Godzilla. The room also included Star Trek Beyond writers Patrick McKay and J.D. Payne, The Kingkiller Chronicles writer Lindsey Beer, Queen of the Air writer Cat Vasko, Maze Runner and Pacific Rim Uprising writer T.S. Nowlin, and comic & television writer J. Michael Straczynski. Godzilla vs. Kong is set to arrive in theaters on May 22, 2020. 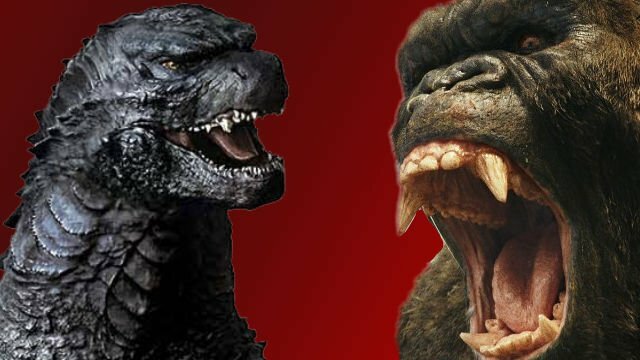 Godzilla: King of the Monsters is still some six months from hitting theaters, but Warner Bros. and Legendary Pictures are already gearing up for that film’s follow up, Godzilla vs. Kong! 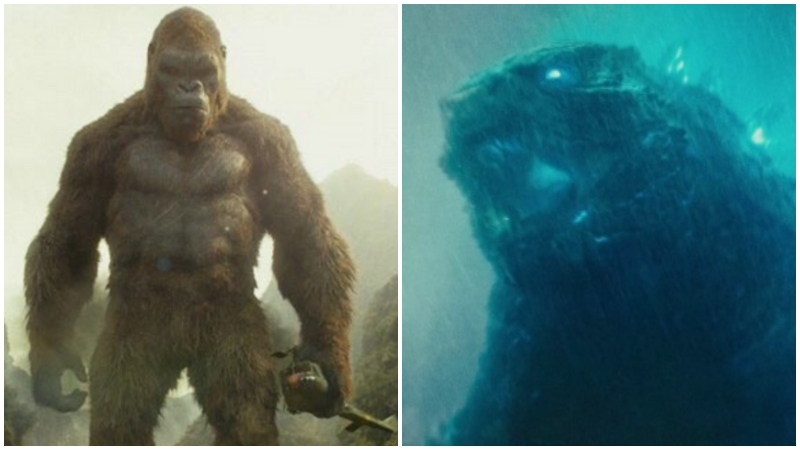 The highly anticipated battle between the King of the Monsters and the King of Skull Island has just commenced principal photography which will take place in Hawaii and Australia. Godzilla Vs. Kong stars Alexander Skarsgård (Big Little Lies), Millie Bobby Brown (Stranger Things and the upcoming Godzilla: King of the Monsters), Rebecca Hall (Christine), Brian Tyree Henry (Widows), Shun Oguri (Gintama), Elza González (Baby Driver), Jessica Henwick (Iron Fist), Julian Dennison (Deadpool 2), Kyle Chandler (Manchester by the Sea) and Demián Bichir (The Nun). Adam Wingard (The Guest) directs from a script by Terry Rossio (Pirates of the Caribbean), and produced by Mary Parent, Alex Garcia, Eric McLeod, and Brian Rogers. Kenji Okuhira, Yoshimitsu Banno, Jon Jashni and Thomas Tull will executive produce, while Jay Ashenfelter, Jen Conroy and Tamara Kent will serve as co-producers. The two monsters will battle it out on the big screen in 3D and 2D and in select IMAX theaters on May 22, 2020.